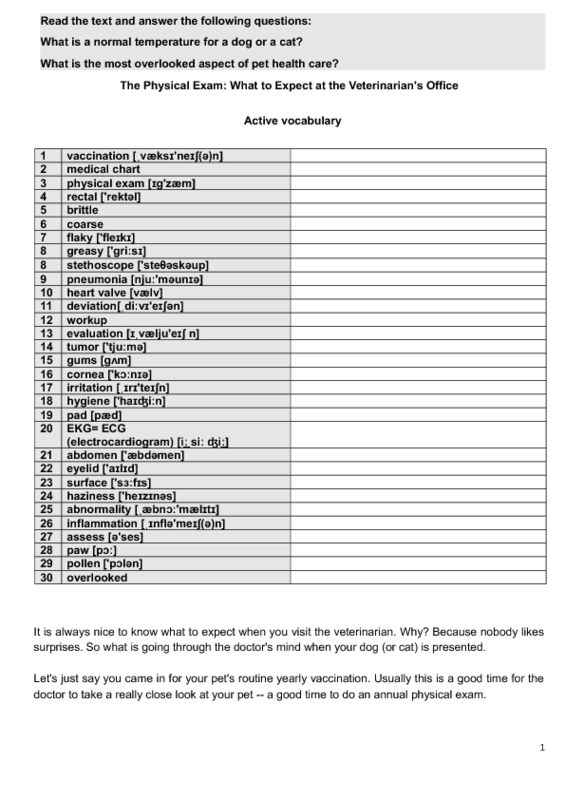 This text is taken from http://www.petmd.com/, this page contains thousands of articles that are useful for pet owners and as I believe, veterinary technicians that learn English as a second language. 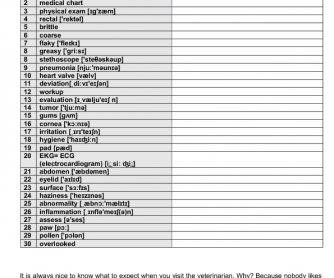 I used it to learn about general physical examination of a dog. At first, you may ask if students know what physical exam is and what they know about it. Then you need to learn new vocabulary, its pronunciation and translate all the words in the table. Students need to scan the text quickly and answer the Qs + find sentences that contain phrases (task 1). After it students discuss Qs with their partners in pairs/ groups + check them with the T.